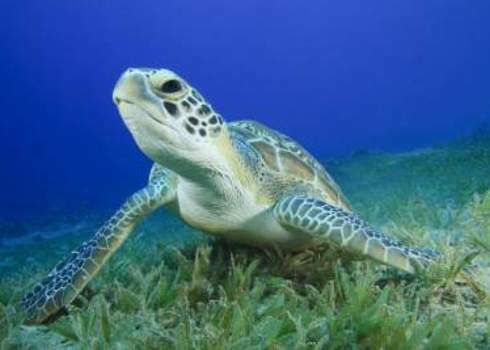 Any area of the planet with high biodiversity conservation significance based on the existence of habitat of significant importance to critically endangered or endangered species, restricted range or endemic species, globally significant concentrations of migratory and/or congregatory species, highly threatened and/or unique ecosystems and key evolutionary processes. Critical habitats are any area of the planet with high biodiversity value, including (i) habitat of significant importance to Critically Endangered and/or Endangered species; (ii) habitat of significant importance to endemic and/or restricted-range species; (iii) habitat supporting globally significant concentrations of migratory species and/or congregatory species; (iv) highly threatened and/or unique ecosystems; and/or (v) areas associated with key evolutionary processes. This definition purposely relates to a broad characterisation of habitats as geographical units (that include marine and freshwater aquatic areas as well as airway passages). This is a clear departure from the classic ecological definition of a habitat (i.e., the place or type of site where an organism or population naturally occurs). Modified, natural and critical habitat refers to the biodiversity value of the area as determined by species, ecosystems and ecological processes. In practice, natural and modified habitats exist on a continuum that ranges from largely untouched, pristine natural habitats to intensively managed modified habitats. This determination is made based on the level of human-induced disturbance (e.g., presence of invasive species, level of pollution, extent of habitat fragmentation, viability of existing naturally-occurring species assemblages, resemblance of existing ecosystem functionality and structure to historical conditions, degree of other types of habitat degradation) and the biodiversity values of the site (e.g., threatened species and ecosystems, ecological processes necessary for maintaining nearby critical habitats). Both natural and modified habitats may contain high biodiversity values, thereby qualifying as critical habitat. Note: Critical habitat is a term which is defined and used differently by a number of national governments and financial institutions. An area that supports any of the following features, and is needed to sustain them in a viable state: Highly threatened or unique ecosystem; Population of critically endangered, endangered or vulnerable species, as defined by the IUCN Red List of threatened species and in relevant national legislation; Population, range or distribution of endemic or restricted-range species, or highly distinctive assemblages of species; Habitat required for the survival of migratory species and/or congregatory species; Biodiversity and/or ecosystem with significant social, economic, or cultural importance to local communities and indigenous groups; Habitat of key scientific value and/or associated with key evolutionary processes. The most sensitive biodiversity features, which comprise one of the following: (i) highly threatened or unique ecosystems; (ii) habitats of significant importance to endangered or critically endangered species; (iii) habitats of significant importance to endemic or geographically restricted species; (iv) habitats supporting globally significant migratory or congregatory species; (v) areas associated with key evolutionary processes; or (vi) ecological functions that are vital to maintaining the viability of biodiversity features. Critical natural habitats are: (i) existing protected areas, areas officially proposed by governments for protection, or sites that maintain conditions that are vital for the viability of the aforementioned areas; and (ii) unprotected areas of known high conservation value. Critical habitat includes: areas with high biodiversity value, including habitat required for the survival of critically endangered or endangered species; areas having special significance for endemic or restricted-range species; sites that are critical for the survival of migratory species; areas supporting globally significant concentrations or numbers of individuals of congregatory species; areas with unique assemblages of species or that are associated with key evolutionary processes or provide key ecosystem services; and areas having biodiversity of significant social, economic, or cultural importance to local communities. Habitats that have high biodiversity value including: (i) habitats of significant importance to critically endangered and/or endangered species; (ii) habitats of significant importance to endemic and/or restricted-range species; (iii) habitats of significant importance to globally significant concentrations of migratory species and/or congregatory species; (iv) regionally significant and/or highly threatened or unique ecosystems; (v) areas that are associated with key evolutionary processes; and (vi) areas that are important to species that are vital to ecosystems, such as keystone species. Map of likely and potential critical habitat on land and in the oceans derived from the Global Critical Habitat Screening Layer 8. 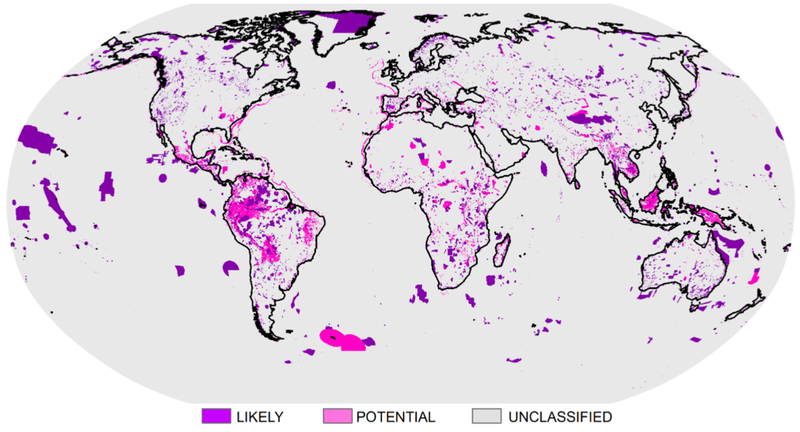 Global Critical Habitat Screening Layer: This screening layer shows the global spatial distribution of likely or potential critical habitat, as defined by the International Finance Corporation 1. The Integrated Biodiversity Assessment Tool (IBAT): IBAT is a central database compiling relevant biodiversity data in an easy-to-use online decision-support and mapping tool. Companies can identify risks based on a consistent view of biodiversity, with data from the best available global data sets including Key Biodiversity Areas and legally protected areas. IBAT includes reports which support screening for critical habitat by different financial institutions. International Finance Corporation. (2018). Guidance Note 6: Biodiversity Conservation and Sustainable Management of Living Natural Resources. Washington DC, USA. European Investment Bank. (2018). European Investment Bank, Environmental and Social Standards. Luxembourg. European Bank of Reconstruction and Development. (2014). Environmental and Social Policy. Inter-American Development Bank. (2015). Guidance for Assessing and Managing Biodiversity Impacts and Risks in Inter-American Development Bank Supported Operations. Asian Development Bank. (2012). Environmental Safeguards. A Good Practice Sourcebook Draft Working Document. African Development Bank Group. (2012). Integrated Safeguards System Working Progress: Strategic choices made in the design of the Integrated Safeguard System.